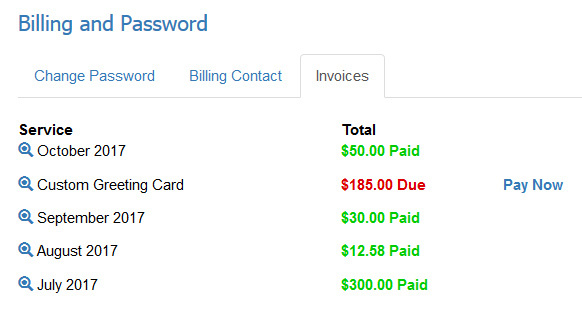 You can access your invoices and billing information by going to My Account > Billing & Password. 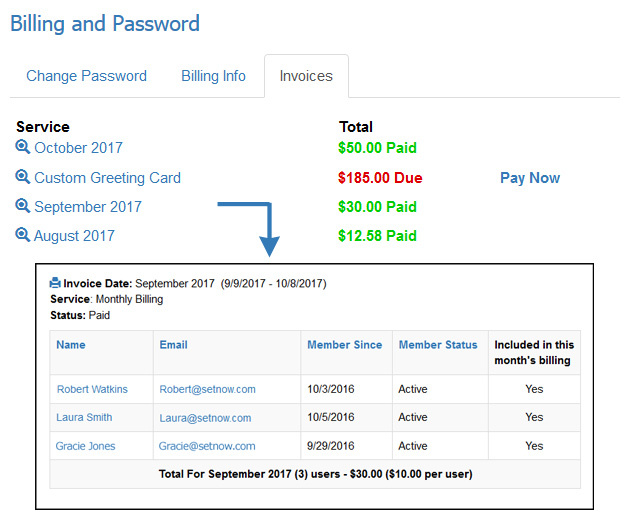 The 'billing contact' tab provides your next billing date and provides the ability to change your billing contact information (see an example). 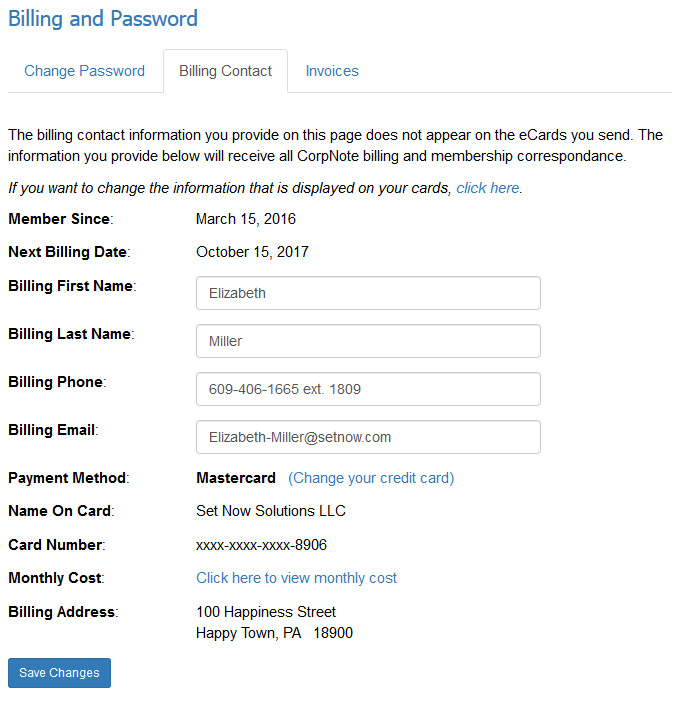 On the 'billing contact' tab you will see a link for "change your credit card"
Click the "Invoices" tab to view your invoice history. If you have a past due invoice, you will see a link for "pay now" (see an example). Click the view icon to view or print the invoice. 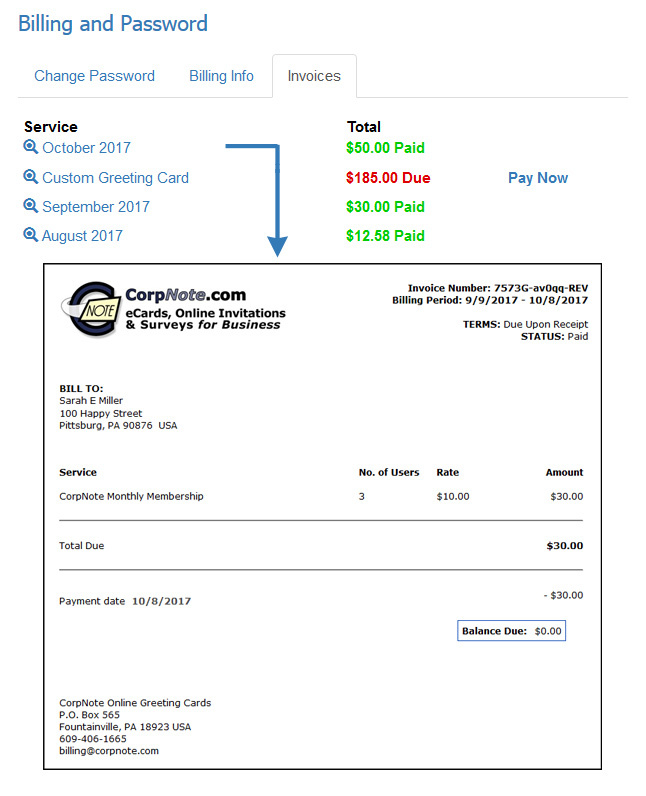 The view screen shows the details of the invoice including which users are included in the invoice for that month (see an example). Click the print icon to print the invoice (see an example).